Using autocomplete to make life easier? Be careful! Various browsers provide an auto complete feature to save time filling in forms online. This seems like a great idea but…be careful. It’s not just the fields on the screen that you are sharing and, since some of these actually capture credit card numbers and the like, you may be providing a LOT more information than you planned. This test URL from Yoast gives a nice quick demonstration that you might have just provided that website with your full address and/or (even worse) your credit card details too. Personally I’ve been a big fan of Lastpass for a long time now. Their latest browser plugin has a nice form fill feature that lets you set up different profiles and the cool part is that only that information is shared if you use it. In fact the only way I found out that this is hiding things from autocomplete is when I tried out the above test and nothing showed up, I actually had to turn it off to get it to work. So if you have too many passwords to remember and need some added security this is a great way to go. 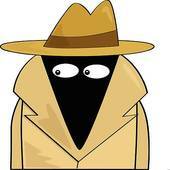 Have questions about online security? Add them as comments and I’ll get an answer for you ASAP! via Why you should not use autocomplete • Yoast. If you use Chrome as your browser you should know that it’s surprisingly simple to access all of a person’s passwords saved in Google Chrome. Another surprise: Google’s well aware of this fact, and the company is not planning to do anything about it. For the full story read : How to Steal Passwords Saved in Google Chrome in 5 Simple Steps | CIO Blogs. This should be especially worrying considering how many people use the same password for almost all accounts, so even if you don’t use Chrome to store your bank account password you might still be showing more than you bargained for. After reading the full article you might find yourself wanting to delete the passwords stored in Chrome or make sure that your PC is always locked when you leave it (Windows key – L is a nice shortcut for that). If you decided on the former then may I suggest using Lastpass as a more secure alternative to writing your passwords on post it notes. Twitter have just announced another way to help keep your online identity safe – Twitter login verification. Since other systems let you log using Twitter it’s now it’s important to keep this account safe even if you don’t use Twitter much. It’s almost like having another set of keys lying around. Login verification uses two-factor authentication – a security process where two means of identification are required to log in – your phone and your password. With login verification enabled, your existing applications will continue to work without disruption. If you need to sign in to your Twitter account on other devices or apps, visit your applications page to generate a temporary password to log in and authorize that application. via Getting started with login verification | Twitter Blog. Can’t afford an iPad mini? 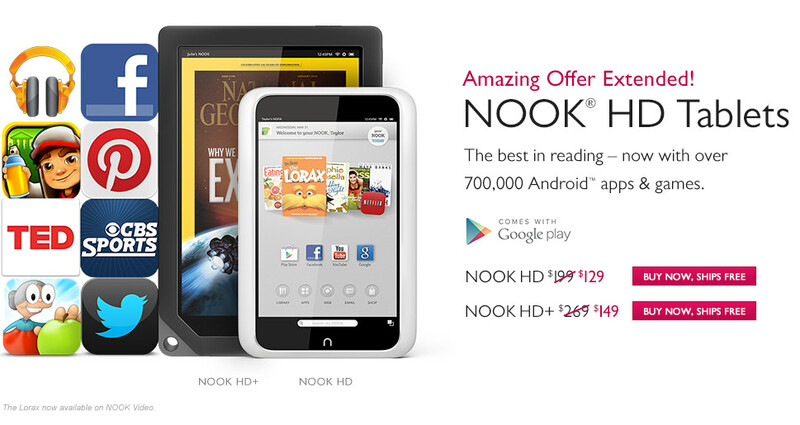 The Nook HD is now just $129! When Barnes & Nobel opened the Nook HD to 700,000 apps in the Google play store this tablet became a serious contender. Now the price has dropped to only $129 can you afford not to buy one of these? In May, Barnes & Noble rolled out a software update that allows Nook HD and HD+ users to use Google’s standard Android apps and buy new software and content from the Google Play store, opening the door to over 700,000 apps. This turned a great piece of hardware that had been needlessly hobbled into a potential iPad killer. But now B&N have decided to get out of the tablet market and are selling off their inventory at prices that are ridiculously cheap even for cheap tablets. The 7-inch Nook HD, previously $199, is now just $129; the 9-inch Nook HD+ has plummeted from $269 to $149. These are great tablets that, according to CNET, beat out the Kindle Fire tablet even before the price drop. Now, at almost 1/3rd the cost of the similarly sized iPad mini, it’s practically giving them away. Unless you like being locked into the Apple walled garden, or are an Amazon Prime member, then I can’t see any reason not to head over to the B&N store and pick up one of these things. If you have any concerns about security of the computer you’re using while accessing Facebook you can have them text you a one-time password to use instead of your regular password. Simply text “otp” to 32665 on your mobile phone (U.S. only), and you’ll immediately receive a password that can be used only once and expires in 20 minutes. In order to use this feature, you’ll need a mobile phone number in your account. This is a great way to make sure you enjoy a relaxing cup of joe at the airport without the need to hunch over your keyboard. And since many other sites allow you to log in using your Facebook credentials this can help keep you safe on other sites too! Of course if someone steals your phone and knows your email address (it’s in your phone address book right?) then this might be a simple way for them to get in – so hold on to that phone for dear life!